The ingredients for this pasta sauce are hardly Italian, but the concept (clean, bright flavors) is very much Italian in spirit. As often happens in summer, there are so many vegetables to use up, and a pasta sauce is a great way to transform summer’s bounty into a memorable meal in relatively little time. Poblanos mellow when roasted, their smoky heat perfectly offset by corn’s sweetness and chorizo’s bold, porky taste. We love the Palacios brand of chorizo imported from Spain, and a little goes a very long way. 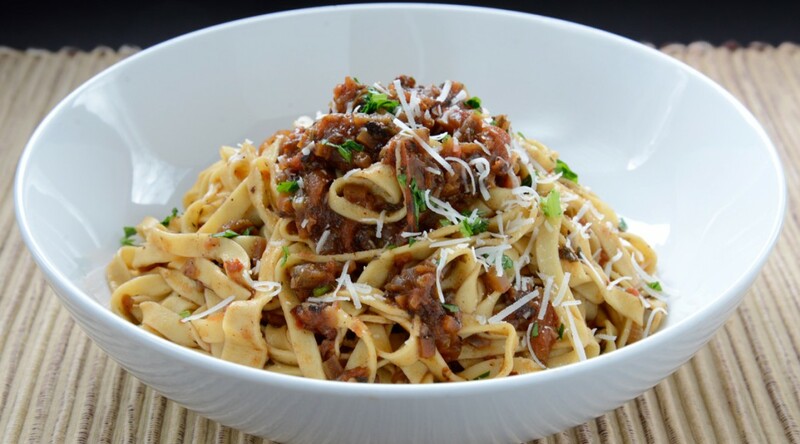 Stringozzi are a thick cousin of tagliatelle, made in Umbria and sauced with grated black truffles, fresh tomatoes, or whatever inspires the cook at the moment. To make stringozzi, we roll out our all-purpose semolina flour and egg pasta into sheets, stopping at the third setting on the pasta machine so the sheets are nice and thick, then cut the sheets into noodles with the linguine attachment; the result is a resilient, toothsome noodle very much like stringozzi. If you don’t have fresh pasta on hand, or don’t feel like making your own, opt for a chewy, ridged noodle like rigatoni or penne rigate instead. Make the sauce: Preheat the broiler. 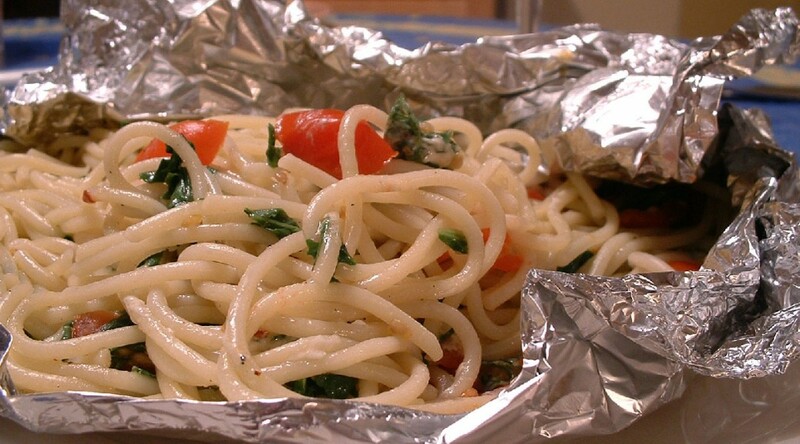 Line a baking sheet with aluminum foil and place the pepper halves, cut side down, on the foil. Slip under the broiler and broil 5 to 8 minutes, or just until starting to blacken; don’t overdo it or you will have a really tough time peeling off the skins, as poblanos are very thin-skinned. 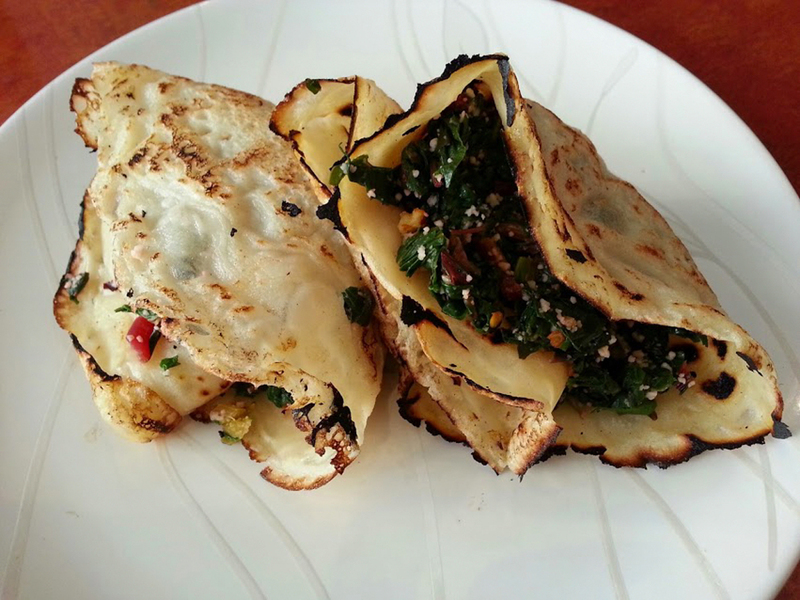 Wrap in the foil and set aside until cooled. Unwrap, slip off the skins, and cut into fine dice. Place 1 tablespoon of the olive oil in a deep, wide skillet large enough to accommodate the pasta later. Add the garlic, chorizo, corn, and poblanos. Set over medium heat and cook, stirring once in a while, until the corn is soft and the chorizo has rendered its fat and turned the sauce orange, about 5 minutes. Season with 1/4 teaspoon of the salt and all the pepper, and splash in 1/2 cup of water; cook another 3 minutes, or until the water has reduced by half. Remove from the heat. Meanwhile, bring 3 quarts of water to a boil. Add the remaining 2 tablespoons of salt. 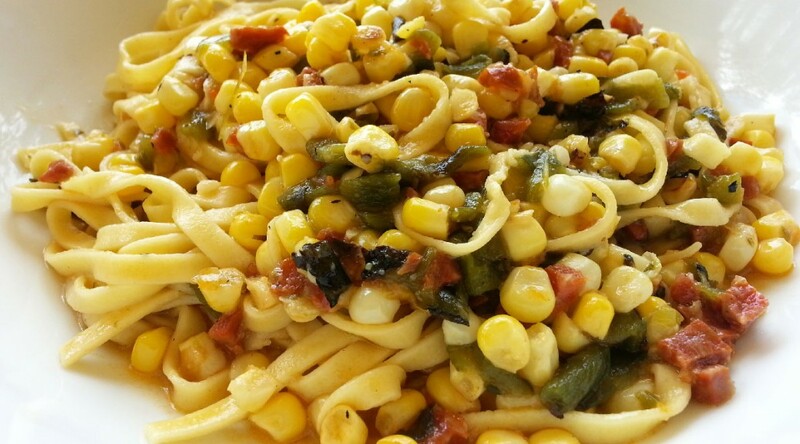 Drop in the pasta and cook until al dente, reserving about 1 cup of the pasta cooking water. Add the pasta to the skillet. Saute over high heat for 1 minute, stirring in the Pecorino and thinning out the sauce as needed with some of the reserved pasta cooking water. Stir in the remaining 2 tablespoons of olive oil, adjust the seasoning, and serve hot. I wish I had thought to take a photo of the Sicilian summer squash I found at the farmer’s market before I got inspired to cook it! Long, slender, with a crooked neck and pale, smooth skin, cucuzze (as these light green squash are known in Italy) are a summer delicacy in Sicily and Calabria. They have a more compact texture than most varieties of squash and a sweet, delicate flavor. Many Sicilian-Americans grow these squash in their home gardens, and if you are lucky, so might one of the farmers at the green market you frequent. In the summer, Sicilians slow-cook the squash with potatoes, tomatoes, and onions, making a delectable minestrone of sorts, finishing it with broken spaghetti to thicken up the broth in the last few minutes of cooking. 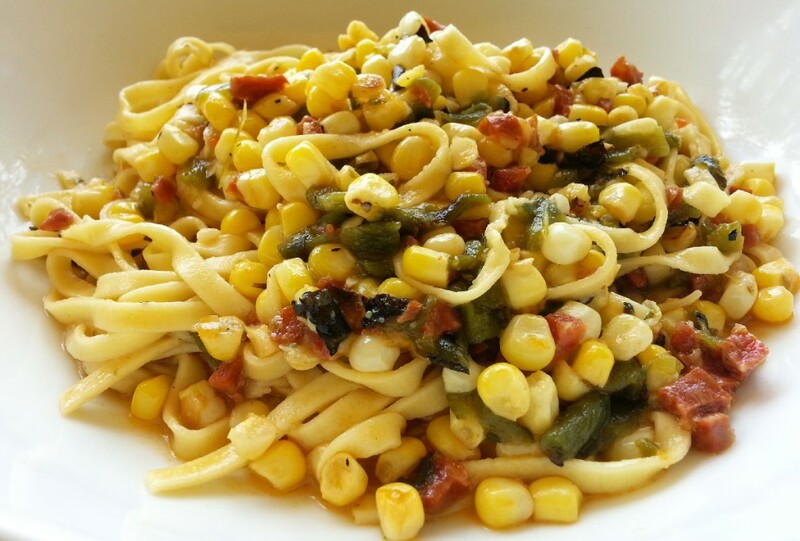 But pastas made with cucuzze abound; some feature the tender green squash leaves (known as tenerumi); others, like mine below, are flavored simply with tomatoes, onions, and basil. If you can get your hands on Caciocavallo cheese, a sharp, melting cheese akin to Provolone, use it instead of the Pecorino for a more authentically Sicilian flavor. 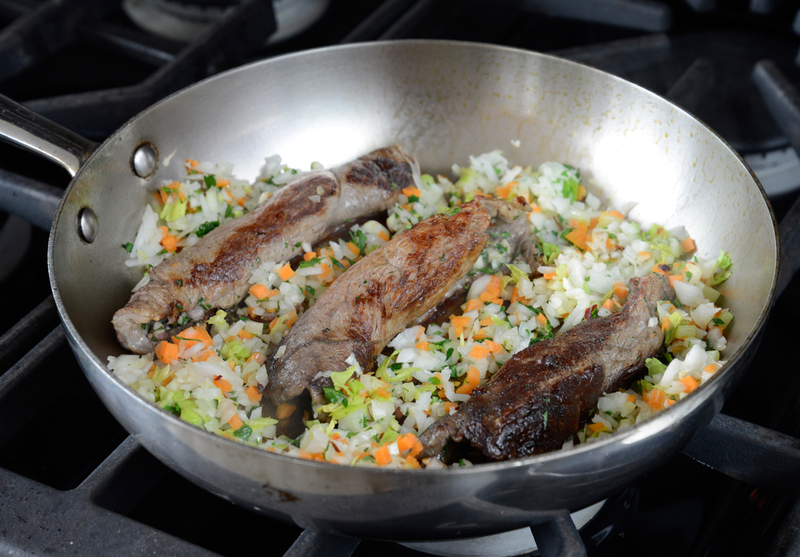 And of course, if you can’t find cucuzze, simply use taut, small green zucchini instead in this recipe; it will still be delicious! 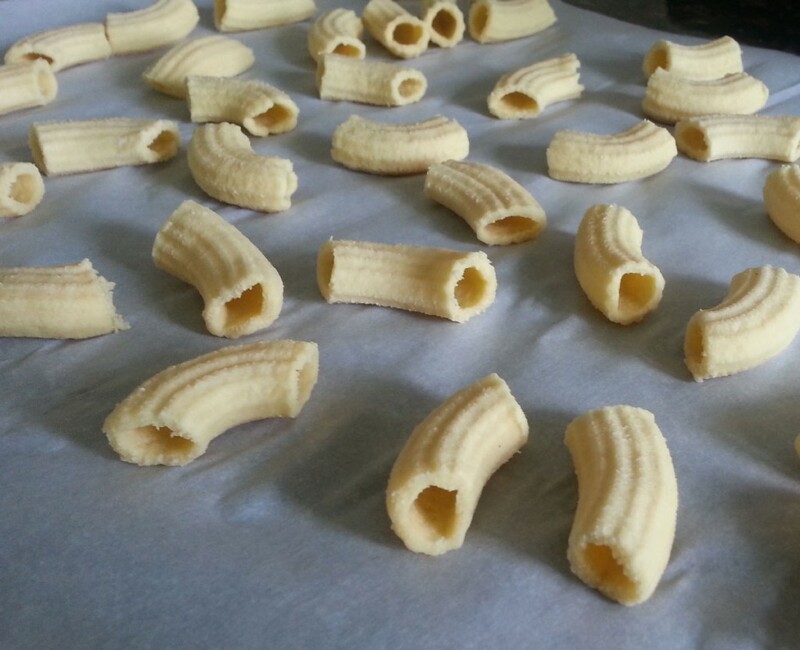 Make the rigatoni: Combine the all-purpose flour, semolina flour, and salt on a counter. Make a well in the center and add the eggs to the well. Using a fork at first, draw the flour into the eggs. When all of the flour has been incorporated, begin kneading the dough by hand; knead until it is smooth and firm, about 10 minutes. 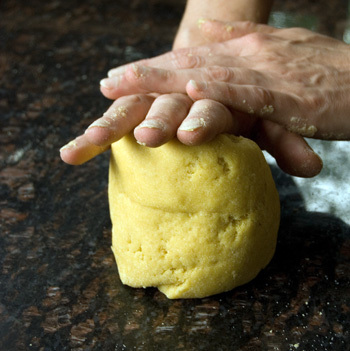 If the dough is dry, add a touch of water; if it is moist, add a touch of flour. Shape into a ball, dust with flour, and place under an inverted bowl on the counter; let rest 30 minutes to relax the gluten. 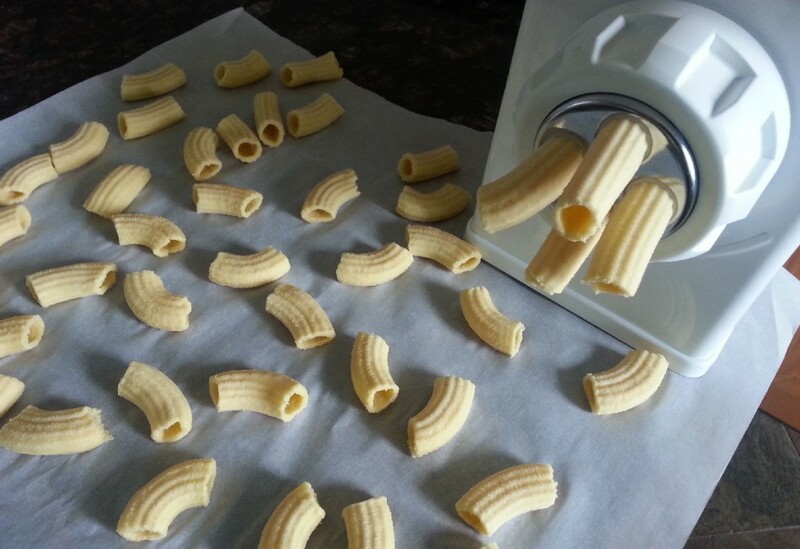 Using a pasta machine, shape the dough into rigatoni. We used a pasta extruder for this purpose. If you don’t have a pasta extruder, but you have a regular pasta machine, or a rolling pin, or a bottle, roll out into thin sheets and cut into tagliatelle, pappardelle, or whatever shape you prefer. Make the sauce: Place the olive oil, garlic, chili, and onion in a deep, wide skillet large enough to accommodate the pasta later. Cook over medium heat until aromatic, about 2 minutes. Add the water and stir. Cover and cook 5 minutes, or until the water is absorbed and the onion is soft. Uncover, add the squash, and saute 5 minutes, or until the squash is just starting to soften. Add the tomatoes, season with the salt, and cook, covered, 10 minutes, or until the squash is soft and the tomatoes have broken down into a rich sauce, adding water as needed if the sauce dries out. There should always be about 1/4 cup of liquid in the skillet. To cook the pasta: Bring 3 quarts of water to a boil. Add the salt and the rigatoni. Cook until shy of al dente. Drain, reserving at least 2 cups of the pasta cooking water. 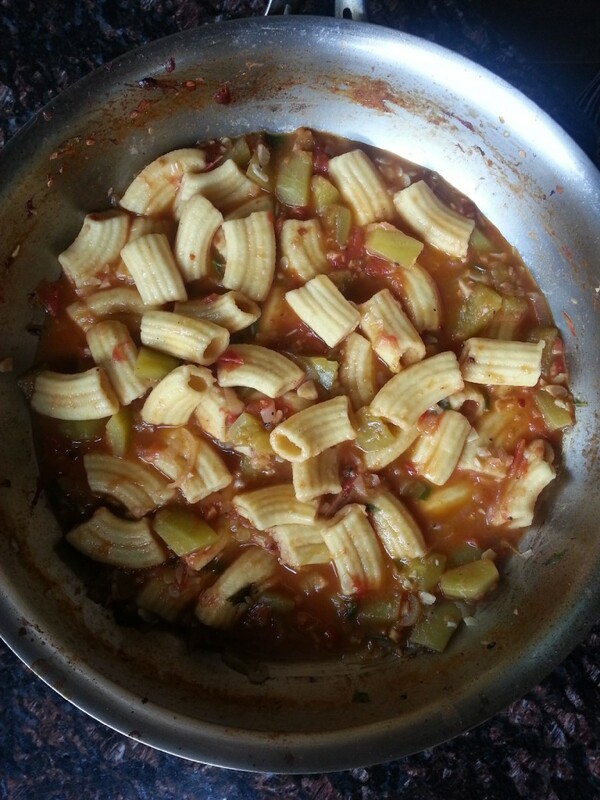 Add the pasta and 1/2 cup of the reserved pasta cooking water to the simmering sauce. Raise the heat to medium-high and saute until the pasta is al dente, adding more reserved pasta cooking water as needed to thin out the sauce and allow the pasta to cook through. Depending on how far from al dente the pasta was when you drained it, the sauteing step may take anywhere from 1 minute to as long as 5 minutes. 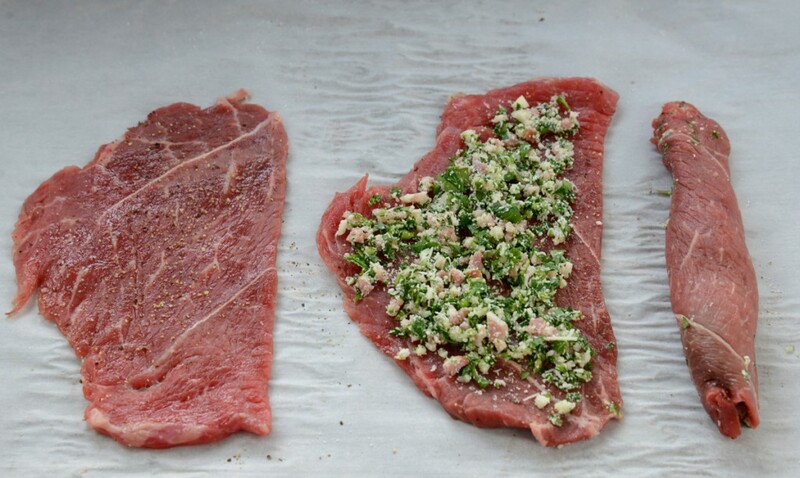 To serve: Stir in the olive oil, pepper, Pecorino, and basil, and adjust the seasoning. 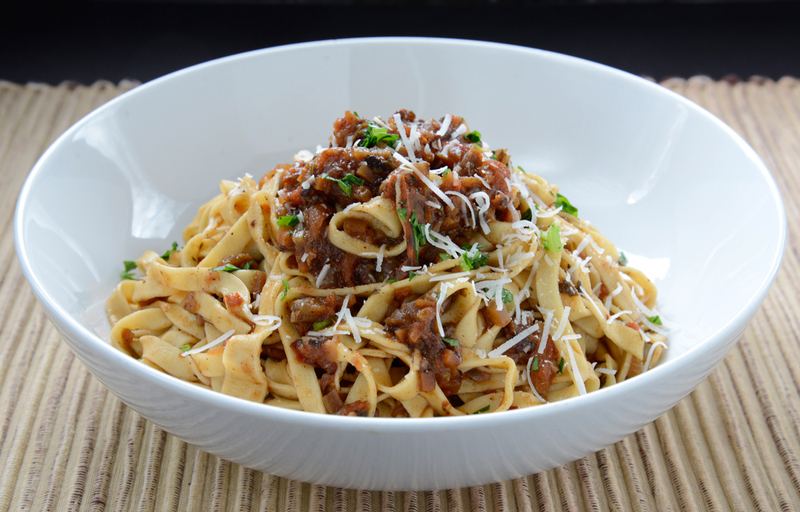 Serve hot, warm, or even at room temperature; this pasta is delicious even after it cools off! Cooking ‘al cartoccio’ in Italian usually refers to baking in parchment or foil packets, but grilling al cartoccio is a great technique, as long as you use foil and not parchment. It opens up so many possibilities for outdoor cooking, including pasta on the grill. Grilling pasta in aluminum foil packets allows you to forgo last-minute boiling and saucing of pasta; this is a great advantage when entertaining, since you can boil and sauce the pasta, and prepare the packets up to 3 hours ahead, then just pop them onto a hot grill (or in the cooler months, into a hot oven) a few minutes before you are ready to serve. 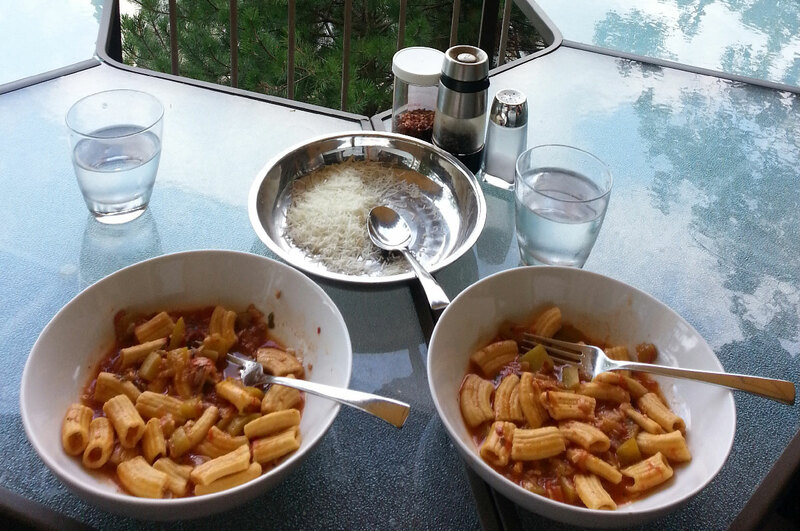 It’s also a fabulous way to enjoy outdoor cooking when the craving for pasta strikes. Since the pasta will cook further once it is on the grill, remember to cook it slightly under al dente so it is not overcooked by the time you pull the packets off the grill. And be sure to allow guests to open their own steaming packets at the table: the aroma exuded upon opening the packets will enthrall even the most jaded guest. Make the sauce: Place the olive oil, garlic, and chili in a large pan. Set over medium heat and cook until fragrant, about 30 seconds. Add the tomatoes, season with the salt and pepper, and cook 5 minutes, or until the tomatoes start to break down and release their juices. 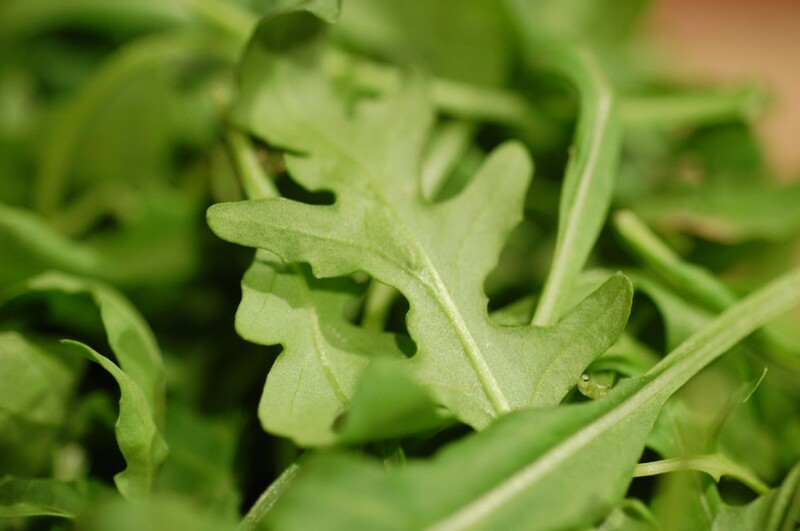 Stir in the arugula until wilted and transfer to a large bowl; stir in the Pecorino and set aside. Make the pasta: Bring 5 quarts of water to a boil. Add the salt and the spaghetti, and cook until the spaghetti are almost, but not quite, al dente, about 7 minutes (if using fresh spaghetti, cook less long, just until barely tender). Drain, reserving ½ cup of the pasta cooking water. 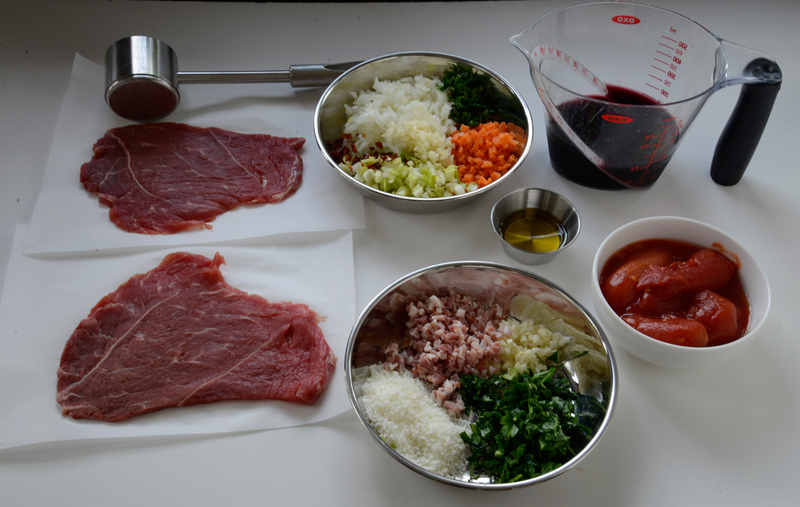 Toss the spaghetti with the sauce in the bowl and adjust the seasoning if needed. Stir in the 1/2 cup of reserved pasta cooking water; the spaghetti will dry quite a bit as it cooks later. Cut heavy-duty aluminum foil into four large squares. Place the aluminum foil on the counter, shiny side up. Mound the spaghetti, along with its sauce and any liquid that has collected in the bowl, on one side of each piece of aluminum foil (if you don’t include the liquid in the packets, the spaghetti will come out dry after cooking). Heat a grill on high for 10 minutes (or preheat the oven to 400 degrees). Arrange the packages seam side up on the grill and grill for 5 minutes (or if baking, place the packets on a baking sheet, and bake in the preheated oven for 8 minutes), or until the spaghetti inside feels hot to the touch. 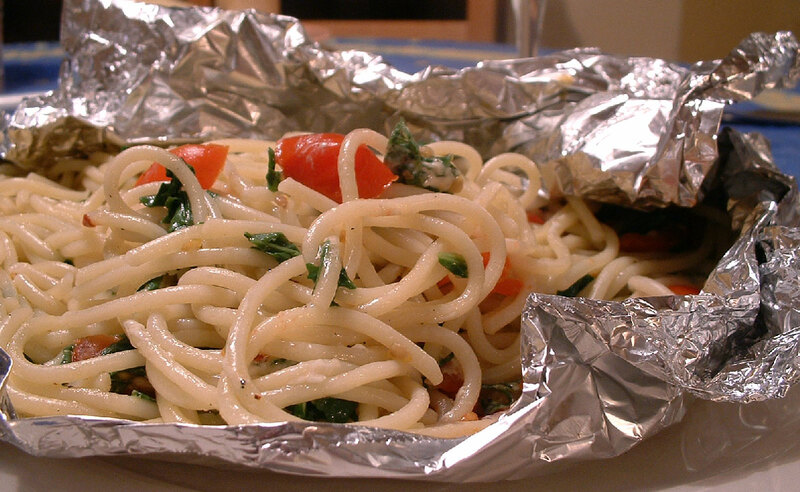 Place each aluminum foil packet on a dinner plate and serve immediately, letting guests open the packets at the table. Winter lingers too long for my taste here in the northeast. Granted, it was even worse when we lived in Montreal, starting in December and dragging through April… But sometime around late January, I start craving the flavors of summer, the simplicity of summer cooking, the bright colors of the summer table. So I cheat a little and cook something that feels summery even though I’m using anything but seasonal ingredients. 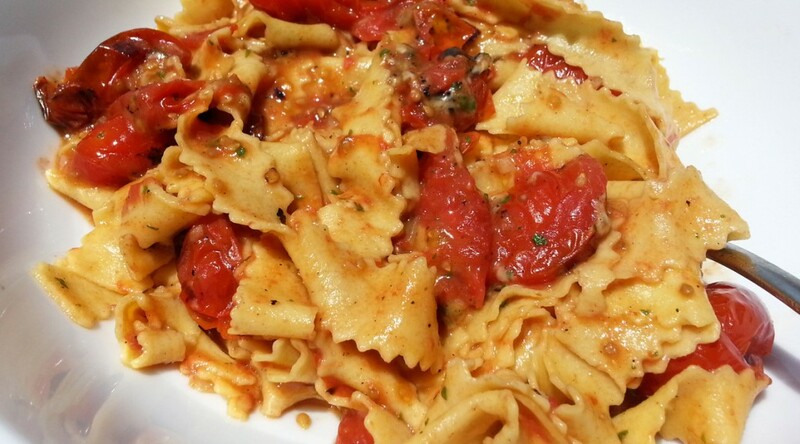 Here is an easy and superbly flavored pasta that owes its summery flavor to cherry tomatoes that are cooked to bursting in a searing hot pan, creating a soulful, deeply flavorful sauce in no time at all. You can make this dish with half a pound of store-bought pasta instead (something thick and sturdy like penne rigate or mezzi rigatoni is ideal). 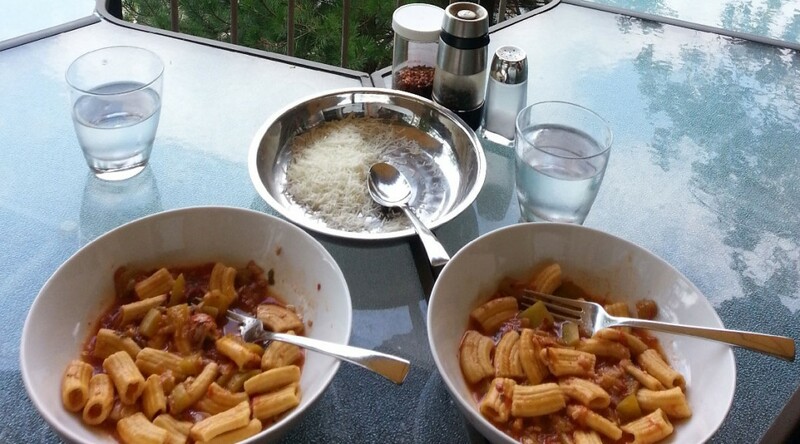 But if you have the time to make the pasta from scratch, the result will be even more memorable. 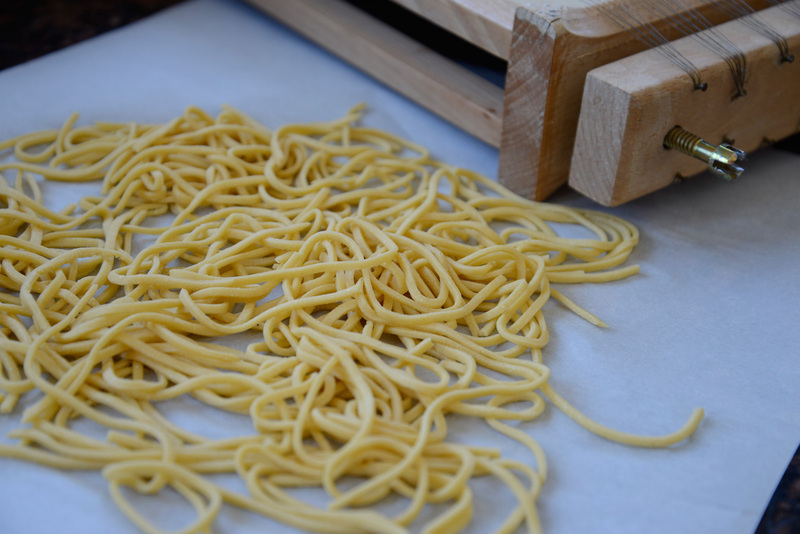 And if you need a little practice before making fresh pasta, join us at one of our hands-on cooking classes in NYC. 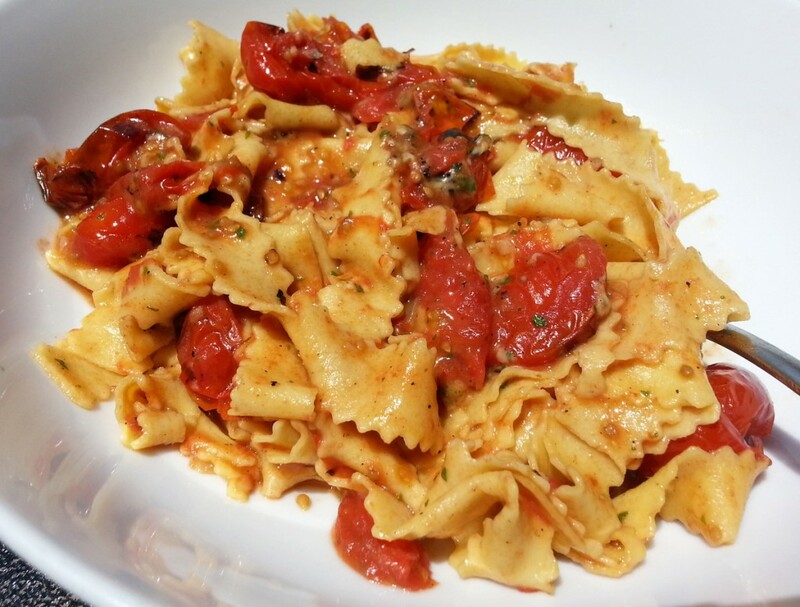 Reginette are frilly pappardelle, named after the collars worn by queens (regine). 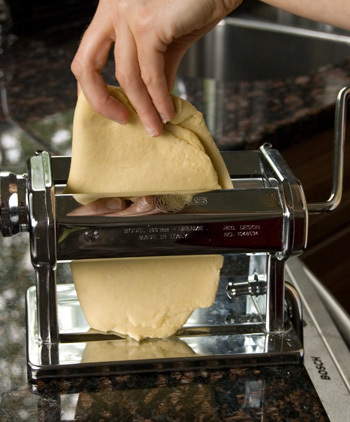 Pappardelle or tagliatelle are a good substitute if you do not have a reginette attachment for your pasta machine. 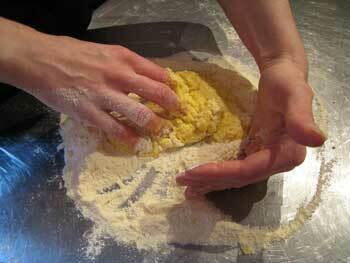 Make the reginette: Place the flours on a counter and add the salt; combine with a fork. Make a well in the center and add the eggs to the well. 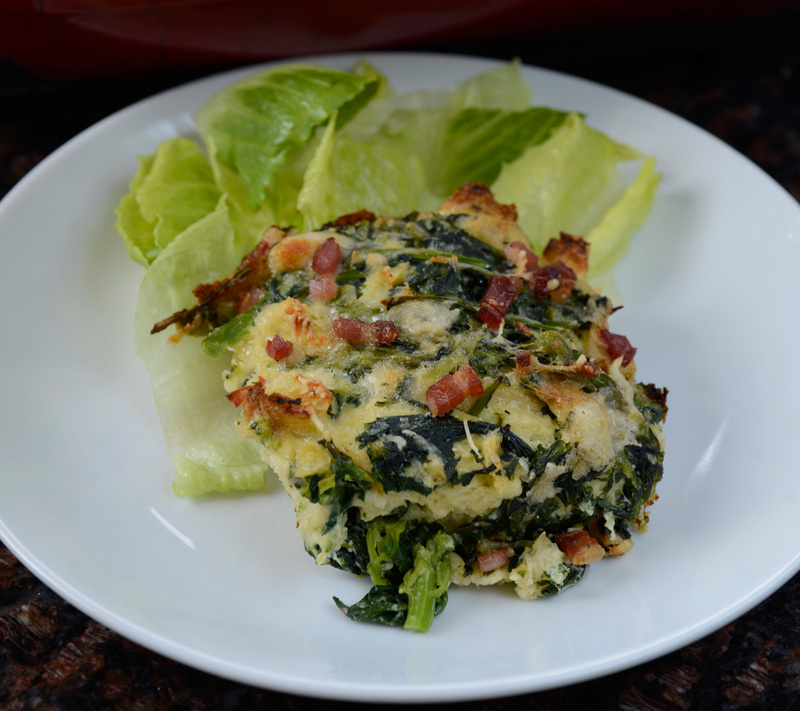 Incorporate the eggs into the flour, forming a firm dough. Knead 5 minutes, or until smooth, adding a little water if the dough is dry or a little semolina flour if it is sticky, shape into a ball, wrap and let rest 30 minutes. This relaxes the gluten and makes rolling easier later. 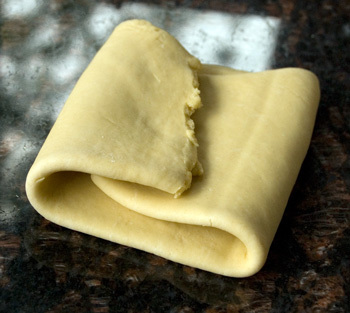 Cut the dough into 2 pieces. Working with 1 piece at a time and keeping the other covered, roll out each piece into a nearly transparent sheet using a pasta machine. 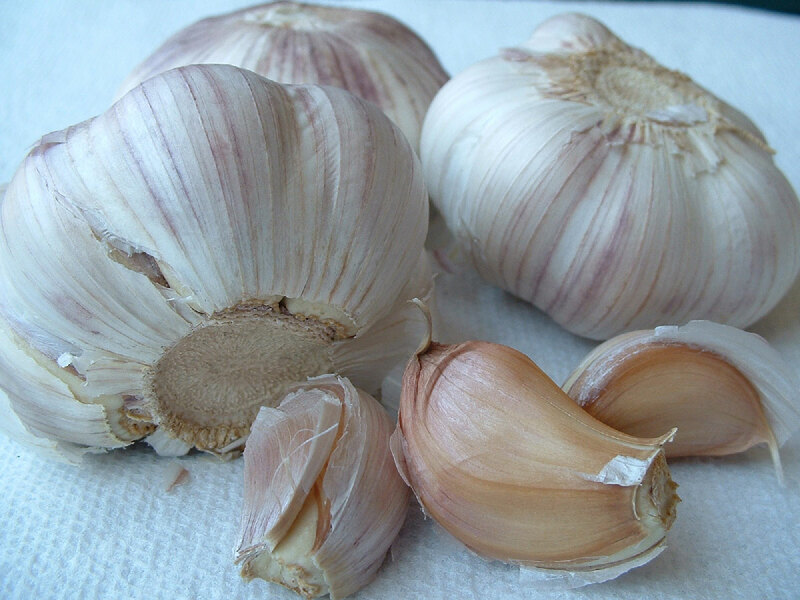 Cut with a reginette attachment or cut into 1/2-inch-wide strips with a sharp knife. Toss with semolina flour to prevent sticking. To serve: Bring 3 quarts of water to a boil. Add the salt and the reginette. Cook until al dente, about 1 minute for fresh pasta (much longer for dried); drain, reserving 1 cup of the pasta cooking water. 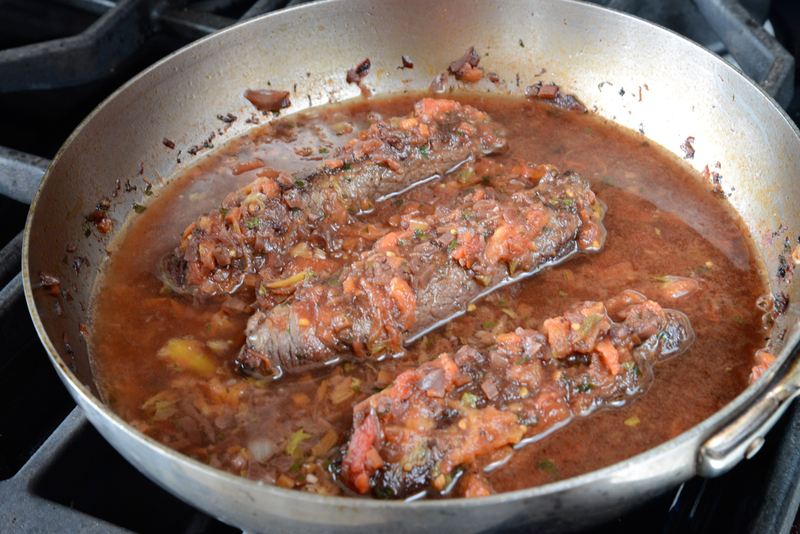 Toss the reginette into the sauce in the skillet and sauté over high heat for 1 minute, diluting with some of the reserved pasta cooking water as needed; the sauce should be fluid and coat the pasta nicely. Stir in the olive oil and adjust the seasoning if needed. Serve hot, passing Pecorino if desired at the table. Bread puddings are an ingenious vehicle for stray bits of vegetables and cheese, stale bread, even excess steamed milk from your morning cappuccino. I don’t think I’ve ever made a bread pudding I didn’t like. The key is to taste the custard before adding the bread to ensure it is properly seasoned (in fact, season it more than you think is necessary, as the bread is neutral and requires additional seasoning). The vegetables should also be seasoned properly, so taste, taste, taste! 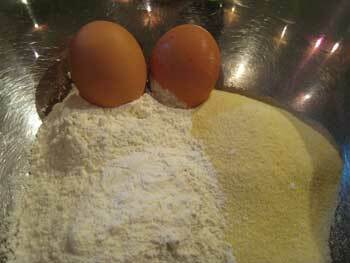 I prefer my bread puddings firm rather than wobbly, so I add plenty of eggs to bind the mixture properly. I also like lots of vegetables, and usually opt for greens like spinach, arugula, or broccoli raab. The vegetables should be cooked before being folded into the custard base, so they become a silky part of the whole rather than a distinct component. 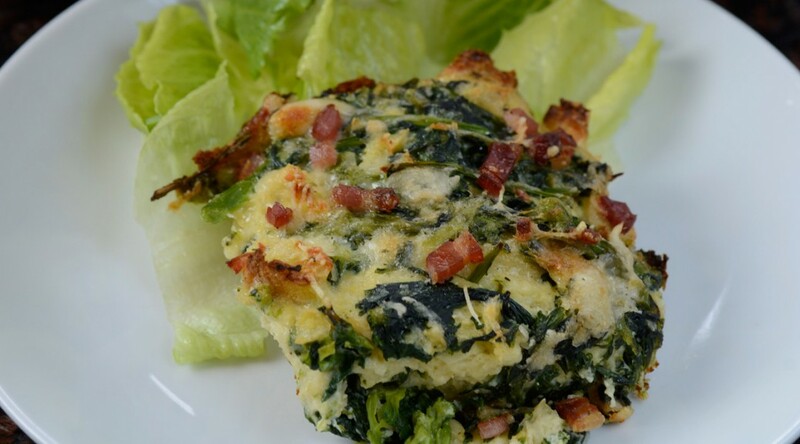 Serve the bread pudding below with a simple green salad as a main course, and experiment with other vegetables if you’re inspired at the market. Just be sure to pair the cheese with the vegetable: Gruyere is lovely with mushrooms; Parmigiano with spinach; Scamorza with fennel… You get the idea. 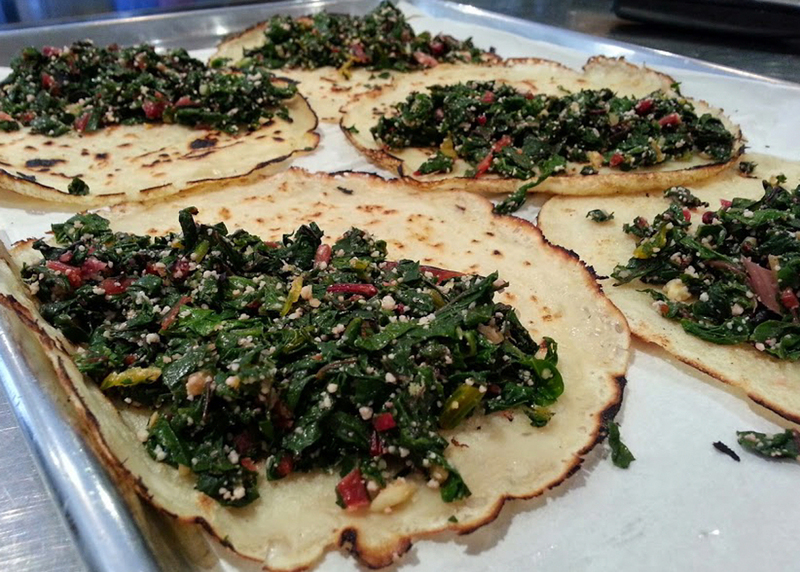 Make the broccoli raab: Preheat the oven to 375° (preferably set on convection). 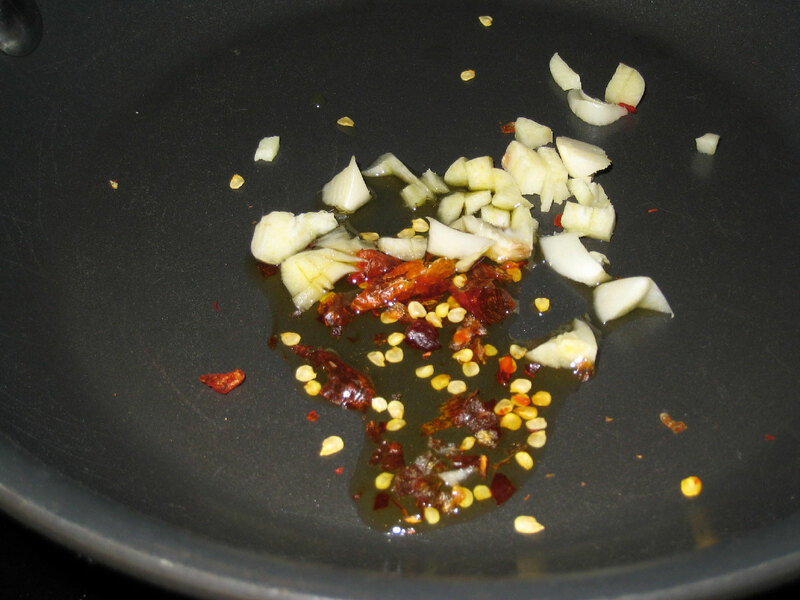 Place the olive oil, garlic, and chili in a 12-inch sauté pan. Warm gently over medium heat until aromatic, about 1 minute. 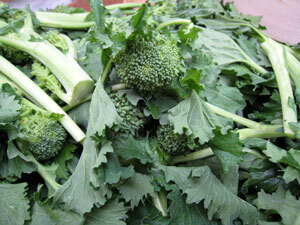 Add the broccoli raab, season with the salt, and sauté 5 minutes, or until wilted. Add the water and continue to cook until the water evaporates and the raab is soft, about 5 more minutes. Cool to room temperature and adjust the seasoning as needed. Make the bread pudding: Brush an 8-inch square roasting pan with olive oil. Beat the eggs, milk, salt, pepper, and ½ cup of the Pecorino in a large bowl with a whisk until aerated and some bubbles have formed in the mixture. The longer you beat, the lighter the bread pudding will be. Taste and adjust the seasoning. Add the bread and the sautéed raab. Mix gently with your hands so the bread soaks up some of the liquid, but do not overmix or the bread will disintegrate and lose its texture. Spoon the mixture in the prepared roasting pan and dust with the remaining 2 tablespoons of Pecorino. Scatter the Pancetta over the top. Bake in the preheated oven for 30 minutes, or until set, golden-brown on top, and bubbling. Let rest 5 minutes, then cut into wedges and serve hot. We eat a lot of beets at home. My husband loves them roasted, and he is happiest when I serve them with just a bit of olive oil, salt, and pepper as a salad. Sometimes I add walnuts, Feta cheese, a scattering of fresh herbs (dill or tarragon work best), thinly sliced onions, and a splash of sherry vinegar. Other times, I stir in grated garlic, chili flakes, cilantro, toasted sunflower seeds, toasted pumpkin seeds, and a hint of red wine vinegar. 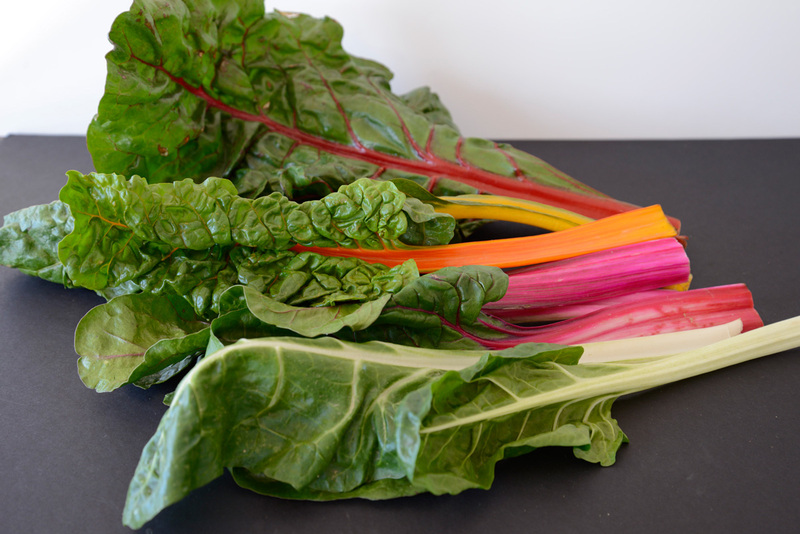 Since we eat so many beets, that leaves us with a lot of beet greens and beet stems. They never get discarded, and serve as inspiration for many meals. I boil the greens, then serve them with olive oil, lemon juice, and slivered garlic, or top focaccia dough with them before baking under a veil of Pecorino. As for the stems, they are delicious roasted: I boil them just a few minutes, then roast them with olive oil and grated Parmigiano, covered snugly under a sheet of parchment paper, for 10 minutes at 325 degrees. 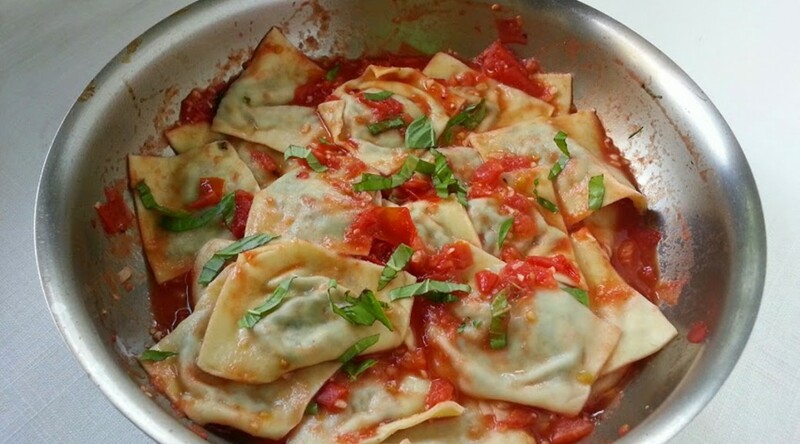 And I often prepare colorful beet greens and cheese ravioli, as below, napped in a light tomato sauce. Even though the ingredient list looks daunting, the preparation is actually quite easy, so try this the next time you have beet greens at home. 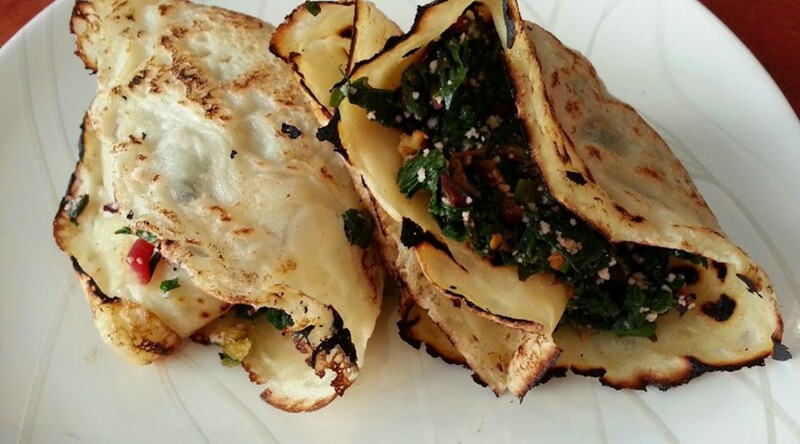 And if you have spinach but no beet greens, that works too! Meanwhile, make the filling: Bring 6 quarts of water to a boil. Add the beet greens (or spinach) and cook 5 minutes, or until soft. Remove with a slotted spoon to a bowl of cool water and drain. Squeeze dry and chop. Reserve the pot of boiling water to cook the ravioli later. Combine all the ingredients for the filling in a bowl, stir in the chopped boiled beet greens, and adjust the salt to taste if needed. Set aside. Assemble the ravioli: Cut the dough into 4 pieces. 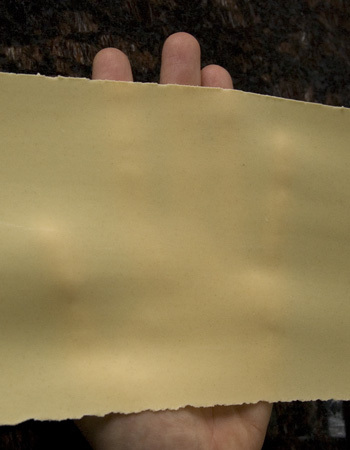 Working with 1 sheet at a time and keeping the others covered, roll each piece out into a thin sheet using a pasta machine; the sheets should be nearly transparent after rolling. Be sure to lightly dust the sheets of pasta with flour every time you roll them through the pasta machine or they may stick or tear. Make the sauce: Place the olive oil and basil in a 10-inch saucepan. Cook over medium heat for 1 minute, or until the basil releases its aroma, then add the tomatoes, salt, and pepper. Bring to a gentle boil. Cover and simmer 25 minutes. Taste and adjust the seasoning. If the suace is soupy, cook it, uncovered, for a few minutes. If it is too dry, add a bit of cool water to loosen it. 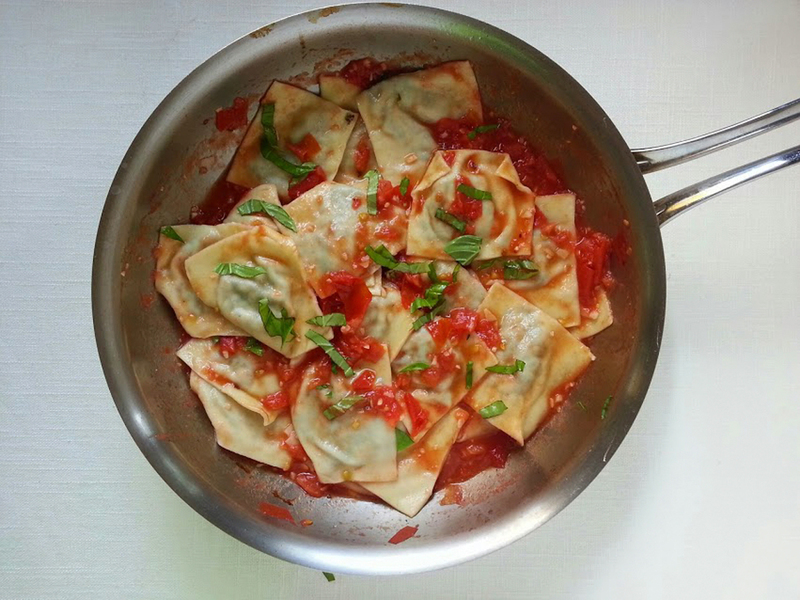 Cook the ravioli: Return the reserved beet greens cooking water to a boil. 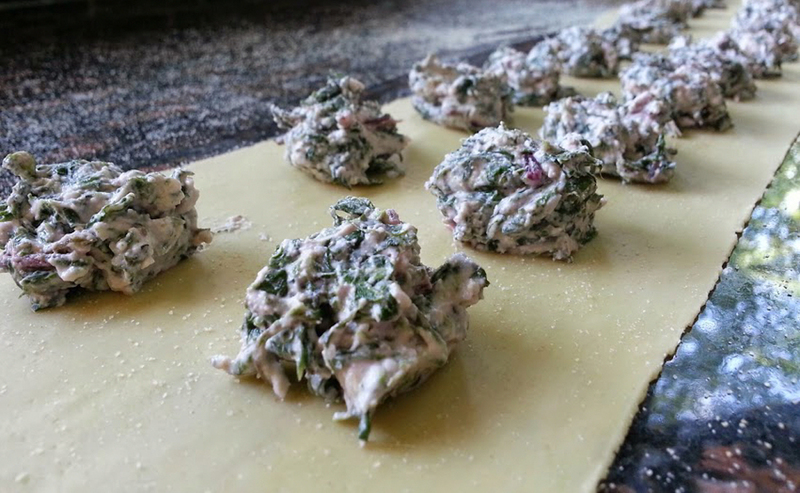 Drop in the ravioli and the 2 tablespoons of salt and cook until al dente, about 4 minutes. Remove to a heated platter with a slotted spoon (reserve 1 cup of the pasta cooking water). 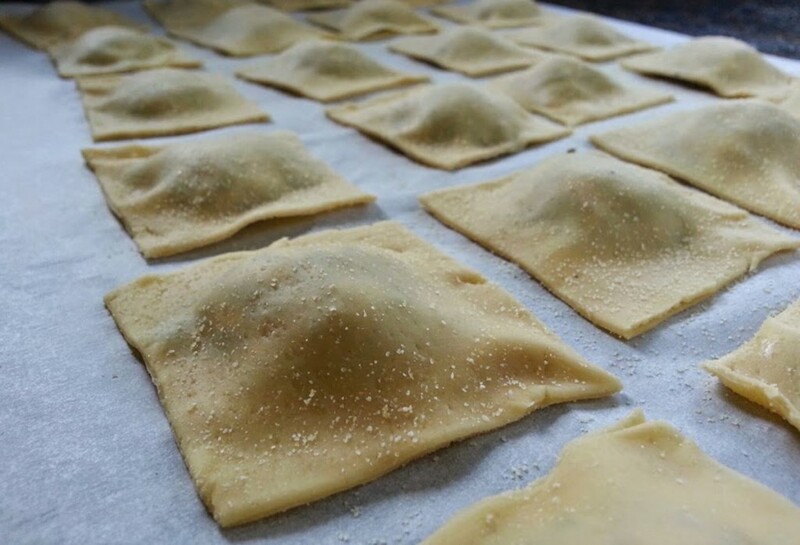 Gently toss the ravioli with the tomato sauce, add the olive oil, sprinkle with the Pecorino, and stir very gently since the ravioli are delicate. If needed, thin out the sauce with some of the reserved pasta cooking water. Serve immediately, sprinkled with the basil.